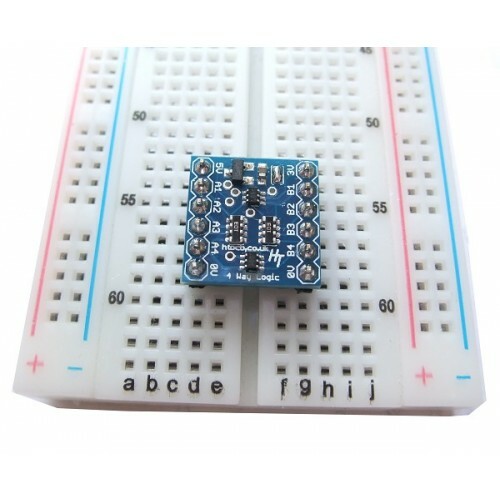 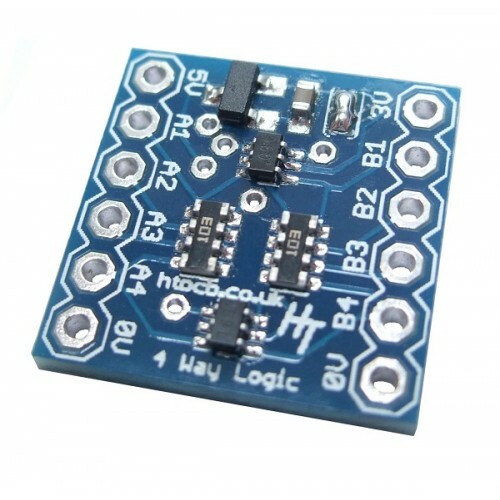 This useful little board provides 4 bi-directional logic level converters and a 3.3V voltage regulator in the one small package. 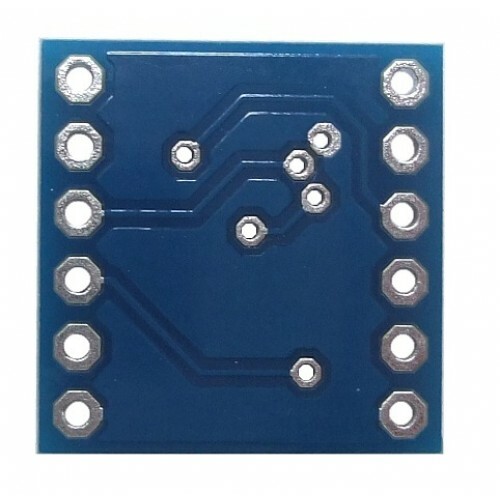 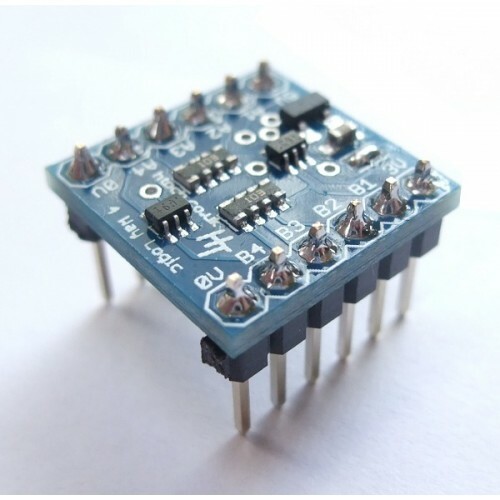 This makes it great for connecting your Arduino (or other) board running at 5V with sensors, microSD cards and other devices that are running typically at 3.3V. 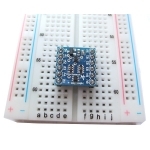 With the onboard 3.3V voltage regulator you can power the external devices without needing a separate supply. Each mosfet has 10k pullup resistors on the 5V and 3.3V side so it works great with I2C, SPI and TTL. 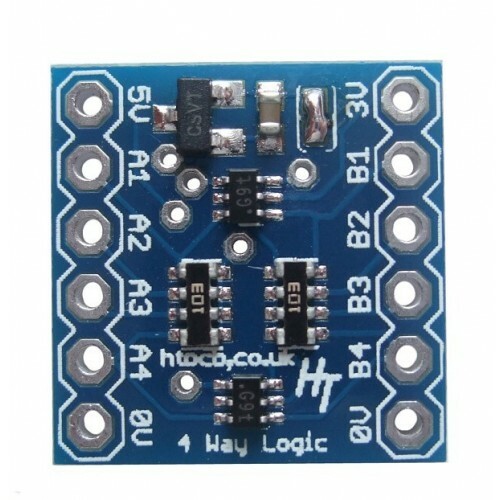 The four high voltage input lines A1..A4 connect to the 4 low voltage lines B1..B4 respectively. 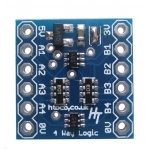 The board has a solder bridge (J1) that links the onboard 3.3V regulator up to the low voltage side. 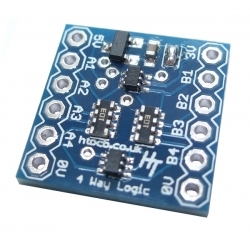 This is the default and allows connection to 3.3V devices and also supplies a 3.3V 250mA output.